Hachiko's story of legendary loyalty to his master moved Tokyo residents that they built his statue at the train station. He was also a hero of Japanese children’s books, the Asian Correspondent reported. 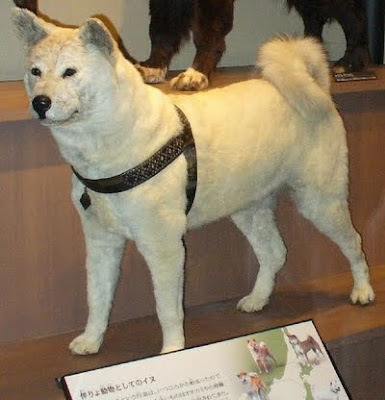 Hachiko's organs were preserved when he died in 1935 and is being exhibited at the National Science Museum of Japan. “Hachiko: A Dog's Story” was a 2009 Hollywood film about the faithful dog starring Richard Gere. The name is a combination of two Japanese words `hachi´ which means `eight´ and `kō´ that pertains to a prince.